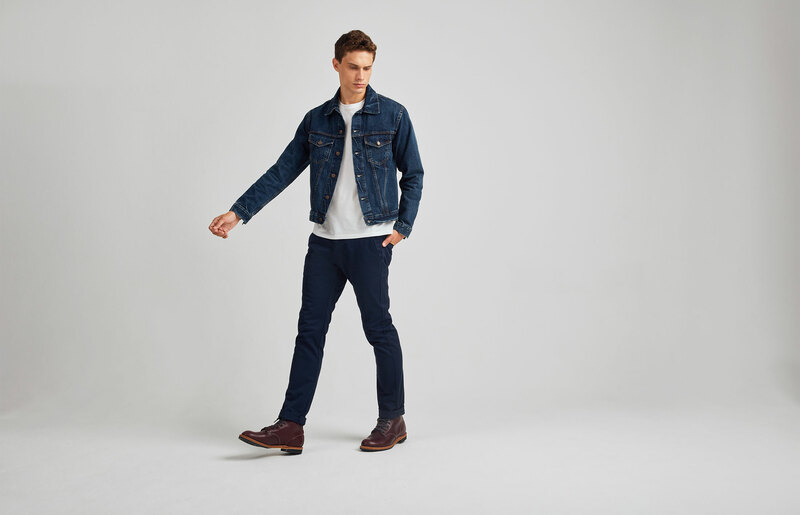 In the 1880s, a decade after he’d knocked up his first pair of jeans, Levi Strauss finally got round to the top half, crafting a jacket from the same hard-wearing denim. 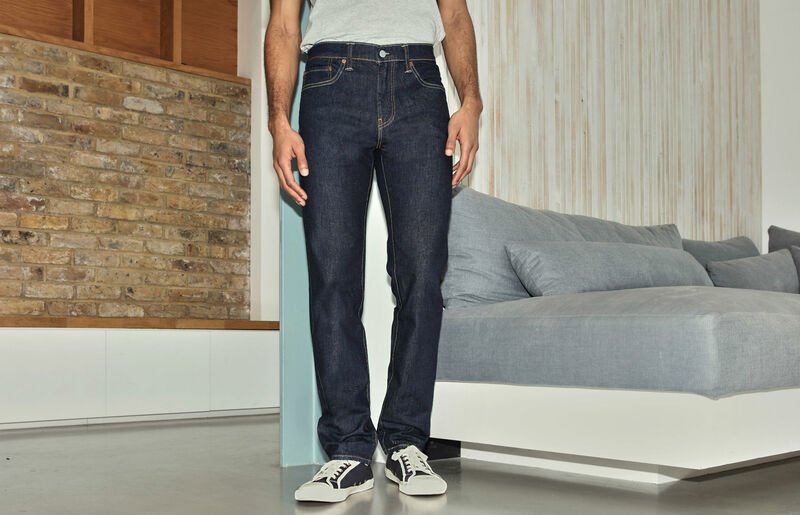 It remained mostly unchanged for most of a century until, in the 60s, his descendants tweaked the fit to create the Type Three Trucker – slimmer, cropped, but still as tough. 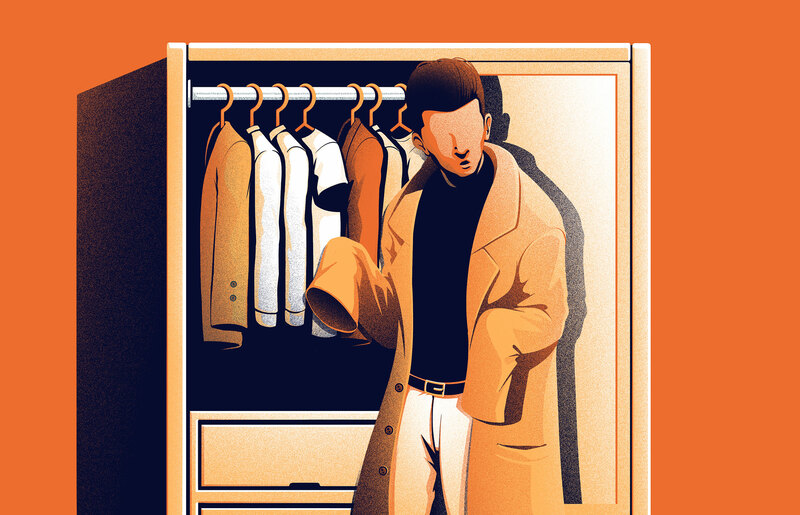 Suddenly, the cowboy’s favourite slipped into the wardrobes of everyone from James Dean to Joey Ramone. It's since become a symbol of Americana style, up there with ten-gallon hats. It's a whole lot easier to wear, though, because the beauty of a denim jacket is that there’s next to nothing it doesn’t go with. 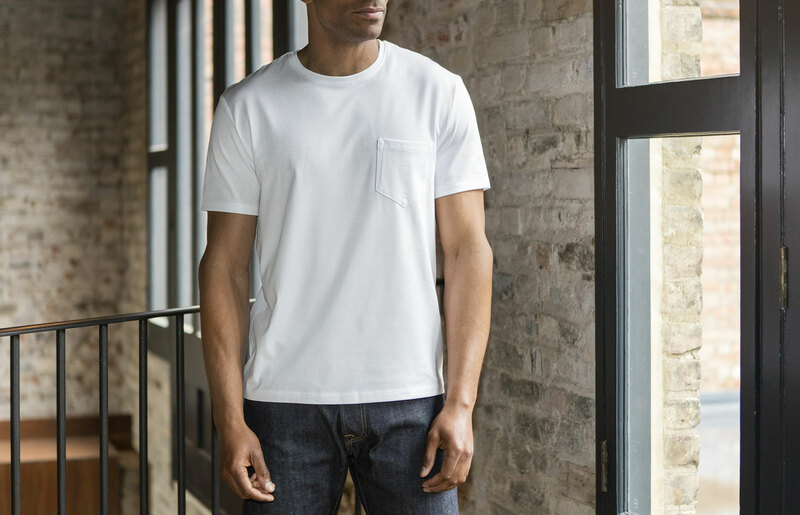 It’s the perfect way to toughen up a tee or relax a shirt. It should be your go-to layer between seasons, the easiest way to add a little extra warmth without making you sweat. But for a denim jacket to do all those things, it needs to be just right. First, colour. “Darker denim feels more versatile throughout the seasons,” says Thread stylist Brooke, “so if you want something you can wear all year, steer clear of lighter washes.” Second, fit. 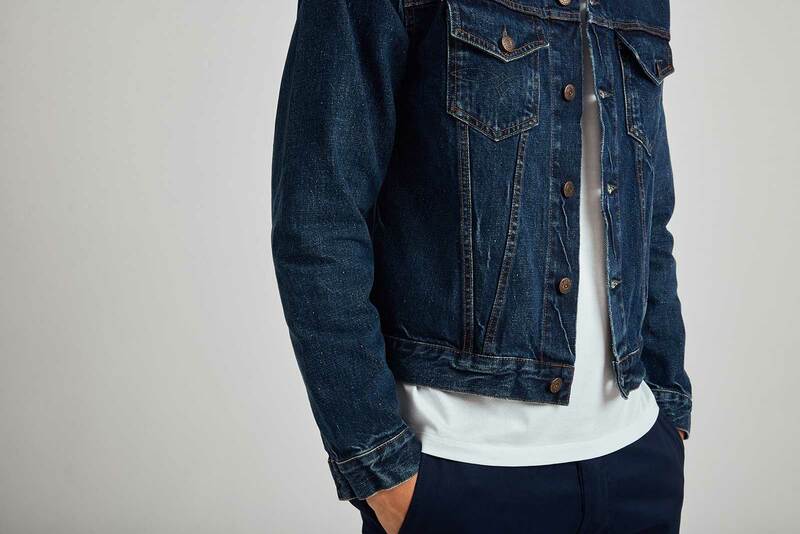 Denim jackets are best a bit snug, to create that lean, lithe silhouette that’s made it a favourite of every rock star since John Lennon. The Goldilocks standard is slim enough to fit under a coat, but not so small you can’t slot it over a hoodie. Tick these four off and you’ll have a jacket you won’t want to take off. What’s the difference between a slim and a skinny? Who does a straight leg suit? And what even is a ‘rise’?